Your credit card and enrollment information do not match. For ID verification purposes, please download and complete this form. 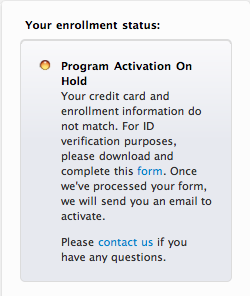 Once we’ve processed your form, we will send you an email to activate.